KAWS Clean Slate Open Edition Release Details! 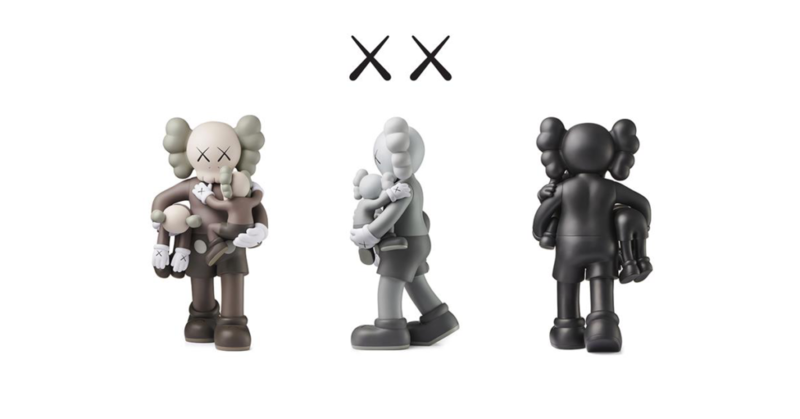 For those that missed out the MoMA drop at the weekend, KAWS will be releasing the Clean Slate Open Edition 14inch vinyl figures via his website tomorrow! Available in the three usual KAWS colourways of Black, Grey and Brown, each will be priced at $480 (£384) + shipping from Noon EST tomorrow (Wednesday 12th December). Noon EST = 5pm GMT, for reference. They’ll be available from KAWSONE.com. Please note that shipping to the UK is often rather expensive from KAWSONE.com! So bear that in mind when you’re checking your bank balance in prep for this drop. Also prepare yourself for the delights of KAWS website not being able to deal with the Hypebeast traffic. We wrote about the simplicity of the KAWS release HERE! Will there ever be a simple & easy KAWS Release? !